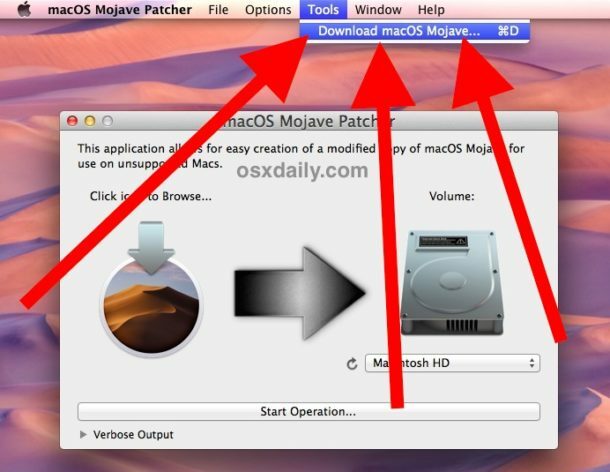 This article will show you two different methods and tricks for how to download the proper complete macOS Mojave installer application if you ended up with the small 23 MB version of “Install macOS Mojave.app” rather than the full sized one. Note most Mac users will NOT need to follow these instructions. For the majority of users, simply downloading MacOS Mojave from the Mac App Store directly will get them the full 5.8 GB installer application onto their Mac. Thus this guide is only for users who have found the incomplete 22mb installer app in their /Applications/ folder, and who want the full size version so that they can make a boot USB drive or whatever else. You can use either the dosdude1 application approach, or further below you’ll find how to build your own full macOS Mojave installer manually yourself by using the Terminal. The end result is the same, whichever approach you use. 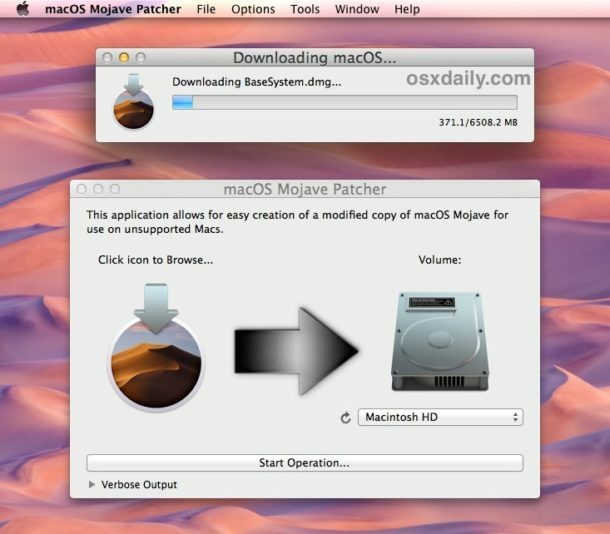 Another approach allows you to manually build your own full macOS Mojave installer, without using the Dosdude tool discussed above. 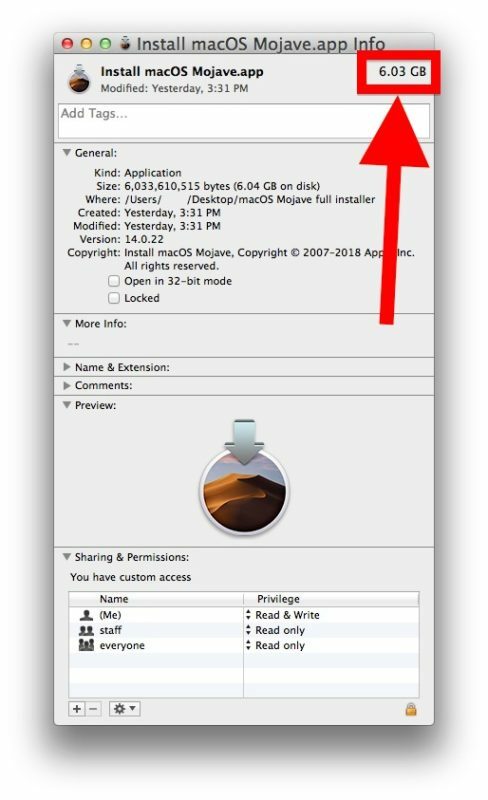 This method works to create a full 6GB “Install macOS Mojave.app” installer application which can be used for making USB boot disks and independent installations. To get the full “legit” version [of Install macOS Mojave.app] from Apple, start the mini installer that you get from the App Store and follow the prompts until you get to the point that it starts counting down to reboot your machine. Quickly CANCEL the reboot. Once you cancel, you will have the full 6gb installer files since the mini installer downloads all required files. 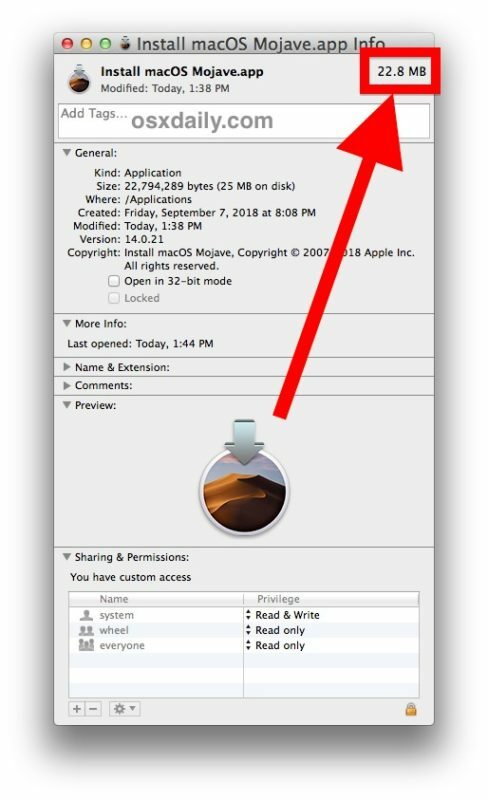 It will create a folder titled “macOS install Data” on the root of your primary hard drive. After you’ve followed those steps, right click the installer that you originally downloaded from the App Store in your Applications directory and you’ll see that its now 6GB instead of the 23mb or 25mb that you get from the App store. 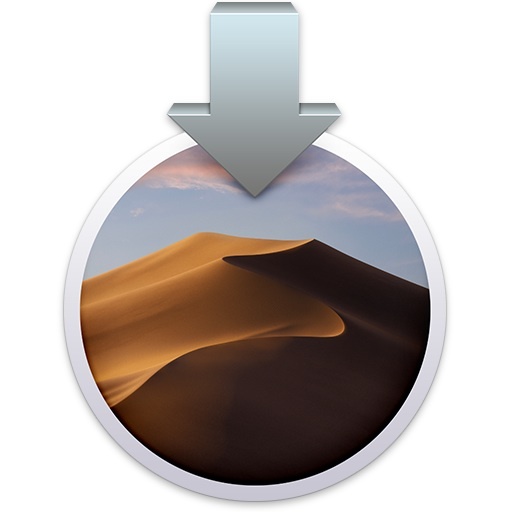 Let us know in the comments below which method you used to get a full MacOS Mojave installer application. I owns a MacPro 5.1 and don’t have that card. It will be nice when Apple mention this before downloading, so I don’t have to wait 2 hours for 6.5Gb downloading. If you stay and read dosdude1.com’s page on Mojave, you will find out how you can run Mojave on your MacPro 5.1, despite it not having a ‘graphic card with metal’. My Macbook Pro4,1 from late 2008 is running Mojave right now, and beautifully too. If you do succeed, say thanks to the guys who made it possible – dosdude1 and his collaborators on macrumors.com (go to unsupported macs site). Great tutorial, thank you for sharing! I have a MacBook Air 4,1 and it work great. Interesting. I had an issue with downloading the full installer which then would not boot a new macbook pro say that my system was newer than the installer, even though running High Sierra. I had downloaded the mojave installer on a macmini. As I always keep a usb with the full installer for all our macs this might solve my issue- though of course just doing the download on the newest mac is prob the easiest solution. I did that earlier and both boot fine on my test machine. It appears that Apple pulled the “SharedSupport” directory from the downloaded file (thus making the file size only ~25MB). Would you happen to have a link of the full installer of Mojave? If you have access to a Mac already running Mojave, you can go to the App Store and download the full 6GB installer there (click “get”). So download some “patch” that is posted on some redo dude’s site. Sounds like security disaster to me. Fortunately this is not mandatory, so if you don’t like the patch, don’t use it. Security is very important so you make a great point! Checksum of InstallESD and BaseSystem from this guy match the Apple direct download. The scariest parts aren’t tampered. “The application you have selected is not a valid copy of macOS Mojave.” What? Yes it is. I just downloaded it from the app store. Patch must be out of date? Tested on a MacPro3,1 and MacBookPro Early 2015. Same result. Just looking to download full installer to make a USB installer for storage. Figured out my problem: I can’t read instructions lol. I tried “Click the icon to browse…” to add the 22mb file when I should have (end eventually did) go to “Tools>Download Mojav”. It pays to read all of the instructions. lol. Yes reading the instructions is important with technical things, if you don’t follow instructions you will not get desired results. The update to Mojave has lessened a bit. It now is tad smaller at 6.01GB rather than 6.03 GB. I when I connect to download, through the SW update facility, on more than 1 machine, with different operating systems. I get 22Meg issue . If I “duck duck go” or similar, download M. I get 5 + G.
Apple and Micro$oft are both pushing ID before download new sw, download install only, with no offline installers, and compulsory auto updates with auto spying, for a reason . That reason is not good for joe average user. APPLE is slow becoming, what Micro$oft became, a long while ago. To see this look at the carnage they have wrought on OSX since Mountain Lion. Even disk utility has become toothless tiger, in Recovery Mode since at least High Sierra, you can not even bring up Terminal easdily in disk utility. Thanks for this tip! Haven’t upgraded my macbook pro for 6 years but it meets the update criteria. Cannot get the mojave update via the app store – app store won’t let me set up an apple ID, very weird. 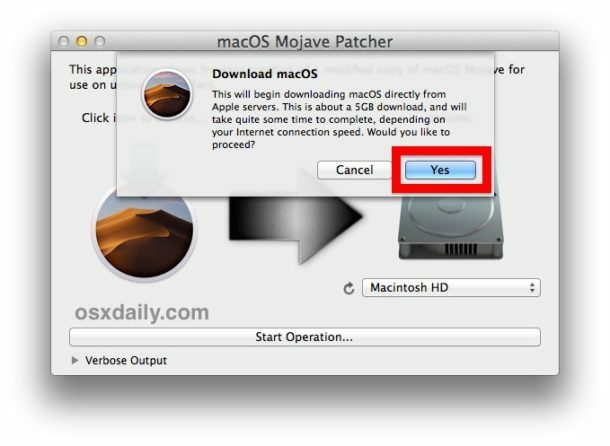 Can I used the downloader from http://dosdude1.com/mojave/ to update to mojave … even though my computer is “new enough”? Thanks in advance. This does not work properly, even if you created a bootable installer, it will always connect to apples servers to download the latest version of mojave. so, eventually its not a full installer. Just a bootable drive. Test it by booting from USB and then turn off internet while trying to install Mojave Any idea how to stop that? To get the full “legit” version from Apple, start the mini installer that you get from the app store and follow the prompts until you get to the point that it starts counting down to reboot your machine. Quickly CANCEL the reboot. Once you cancel, you will have the full 6gb installer files since the mini installer downloads all required files. It will create a folder titled “macOS install Data” on the root of your primary hard drive. After you’ve followed those steps, right click the installer that you originally downloaded from the App Store in your Applications directory and you’ll see that its now 6GB instead of the 23 or 25mb that you get from the App store. 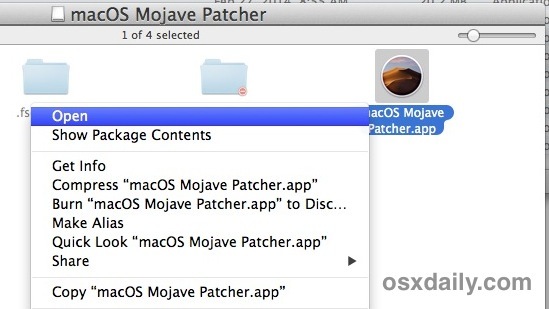 Randy, this is a fantastic tip to build your own full MacOS Mojave installer, thank you for sharing this! Randy, everything’s fine until the last command. I get a “bash: clio: command not found” error. I’m using Yosemite 10.10.5 . Note the ‘clio’ is actually ‘cpio’ I could be wrong, but cpio is an archive utility so it would make sense that it’s being used here. The patch installer does not work for me since I have a supported Mac. Upon opening it I get a message stating I do not need to use it but can use it to create a USB install disk. If I go and click on the 22MB partial install app that’s on my MAC it simply returns an error message stating that’s not a correct file type. So much for this utility. When I try to download MacOs Mojave in the patch app, the downloaded install app is “Mac OS High Sierra” and hence the creation of a bootable mojave disk will of course not work. Not sure what happened, but I solved through method number 2, so for those of you in my situation – go with the alternate method which worked like a charm. I have a MacBook Pro (Retina, 15 inch, mid 2014) with Yosemite 10.10.5. I used the patch method on my mid-2014 MacBook Pro, running OS 10.9.5 and the patch worked perfectly. The short version may have more to do with the model of the computer rather than the operating system on it. Thank you. I inherited a 2015 MacBookPro that wouldn’t boot, replaced the SSD. Mac wouldn’t recognize the SSD, Ubuntu Live would and let me install Ubuntu but Mac hardware/firmware configs wouldn’t recognize the SSD no matter how I formatted it. Recovery wouldn’t work. I have to assume this Mac never saw High Seira and whatever file system firmware changes occurred then that prevented it from seeing the 480GB OWC Aura Pro X SSD. This article was the only way I found to get the full installer – App Store would only deliver an update. Guessing that this page might have had some none viewable chars in the command provided. In short, it was a long process to get to understanding that a new SSD won’t be recognized by a Mac and then to detangle from multiple sources how to ‘fix’ it and load some OS. Sorry, if i use this patch will i still be able to update softwares directly from the app store? Worked like a charm. Been trying to get a proper installer set up for some time now and I’m running into small problems on just about every step. The install worked great, however, I put it on a partition of an external HD. When I restarted from the Mojave Desktop (Startup), I selected the original 10.9.5. When I got to the desktop and then back into Startup, it’s not there. And I don’t see the Mojave icon on the desktop too. But I do the other icons for the other versions from Yosemite to High Sierra. What happened? I used the 2nd method – start the small installer and cancel when the reboot timer starts. On my personal laptop, I could only get the small <25MB installer file. Where MyUSBdriveHERE is the name of the partition on a USB drive I wanted to make bootable. I thought it odd that this was the first time I've run into the small Mojave installer. With computers at my work, I've updated at least a dozen machines to Mojave (though usually not straight from El Capitan), and as far as I can tell it usually gets the full installer file. I've even created and updated my Mojave USB installer several times in the past couple months. I did always download it from a 2018 MacBook Pro or Air, already running Mojave. Maybe that makes a difference, dunno why really. Anyway, after running the commands above, I can now see my 10.4.4 Mojave installer as a bootable option in startup disk preferences. I will test booting from it tomorrow (it's late), and after all this – I plan to create a bootable clone to external SSD before I actually run the Mojave update.